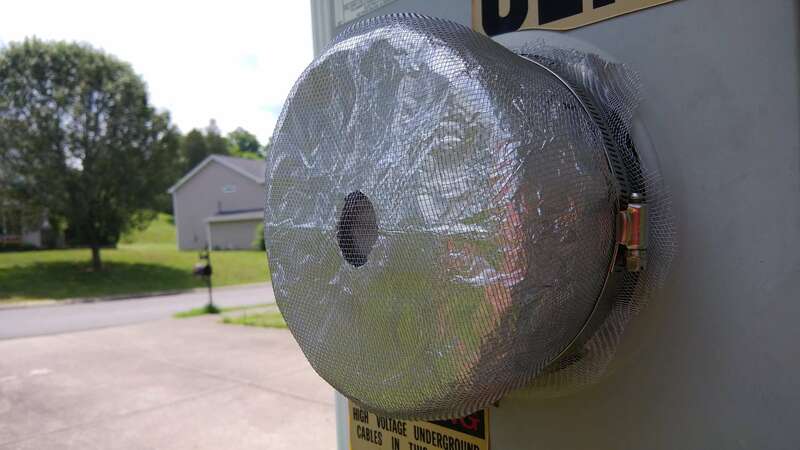 Homemade Smart Meter Cover is TWICE as Effective as Expensive Purchased Ones! – Total cost roughly $5. Readings inside house after smart meter cover and garage wall covering – next to nothing. We also put Stetzer filters in rooms where we spend the most time. For the first time since the installation we don’t feel like we’re being microwaved in our own home! — The health and safety of the millions who are not even aware of the danger!! — Who pays if the system is HACKED? The cover is working great. My neighbors also had me make one for their home as their meter faces our home. It is also crucial to cover the wall BEHIND the meter that faces the inside of your home. If the meter is on the garage, that’s easy. You just cover an area extending two feet out in every direction from the meter, eight layers thick, with heavy duty aluminum foil. If it is on the wall of a room, that’s problematic if you care how the wall looks, but you can always artistically cover it with something. The second option is graphite paint, more professional but it’s a bit of an effort. It involves painting the entire wall with black graphite paint, which costs about $200+ per gallon (yea, I know), then you have to put conductive tape around the wall and ground it or it will shock you and you paint over it with a normal color. As far as the meter, I have an HF35C. Just throw that into Google and you can price them. But the meter on my house (and they’re all about the same if you have one of the new ones), gave readings of in excess of 2000 microwatts per meter squared without the cover. The readings dropped to nearly nothing after the cover. Yes there are many meters in my area. In my house, my meter picks up readings only from my next door neighbor’s meter, which I covered so now it’s 0, and the nearby cell tower. I am not picking up other smart meters from inside my house at this point, thankfully. Yes we are living in very bad times. The worst. I do what I can to expose evil so that people can see their way through deception, and help where I can, but our battle is not against flesh and blood. Yes, he works nefariously to kill the body, but the devil’s target is human souls. Our focus has to be spiritual. Whether sooner or later, none of us are not getting out of this world alive. God bless you and your wife, Randy. Are you in touch with Tony Pantalleresco? He helps many people with Morgellons.